list manipulation - Creating a loop - New and Fresh Private + Public Proxies Lists Everyday! I have just started using mathematica and I am completely new to "programming". So, I am a kind of noob in its purest form .. I'm trying to turn one coordinate system into another. I'm using M1 as a kind of map to get the position of the elements I am looking for in the other matrix called CorrectionM. Mathematically, it's a simple coordinate transformation using "addition"
I have programmed a chain of operations starting with a simple 3-element list (Input1). 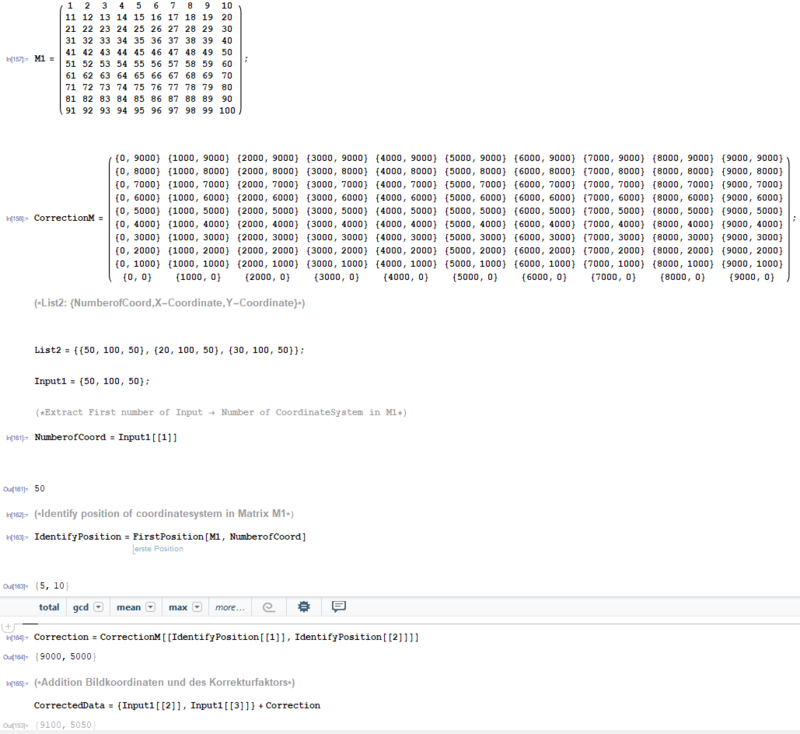 This operation works correctly for a single list (the output of "CorrectedData" is correct), but I can not extend it on a list similar to a "List2" matrix (which is my main intention). I've tried to manipulate the entire list2, but the "FirstPosition" function can not be applied directly to a list. Previous Previous post: 10K complete nodes enough to bitcoin to avoid an attack of 51%? Next Next post: JixHost :: $ 1 pays your first month, $ 1.98 after: Hosting and assistance in the United States!